This summer has brought a lot of hot, scorching days. Many of us wanting to be good doggie parents will get our long haired fur kid a a short cut. I know that we would not be happy in a fur coat on a 90 degree day, but a dog's coat is their insulation from the sun. Dog's fur have several layers, each layer working as a system to help you dog from overheating. Their fur also protects from sunburn. 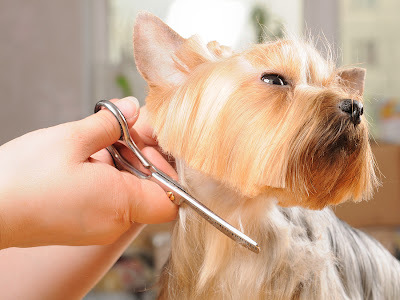 Trim your long haired dogs fur, but try to stay clear of the buzz cut.